This volume is a collection of five papers. The first four together give a thorough treatment of homology operations and of their application to the calculation of, and analysis of internal structure in, the homologies of various spaces of interest. 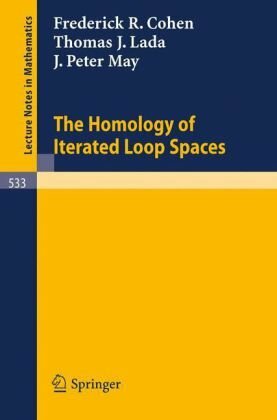 The last studies an up to homotopy notion of an algebra over a monad and the role of this notion in the theory of iterated loop spaces.